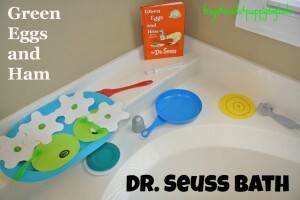 I have been letting my oldest now 3 1/2 yr paint or play with pudding in the bath tub since he was 1yr. It is fun and safe for them to play. If they eat it you know it is ok. We usually just play with vanilla pudding in the tub but this time I added color to it. 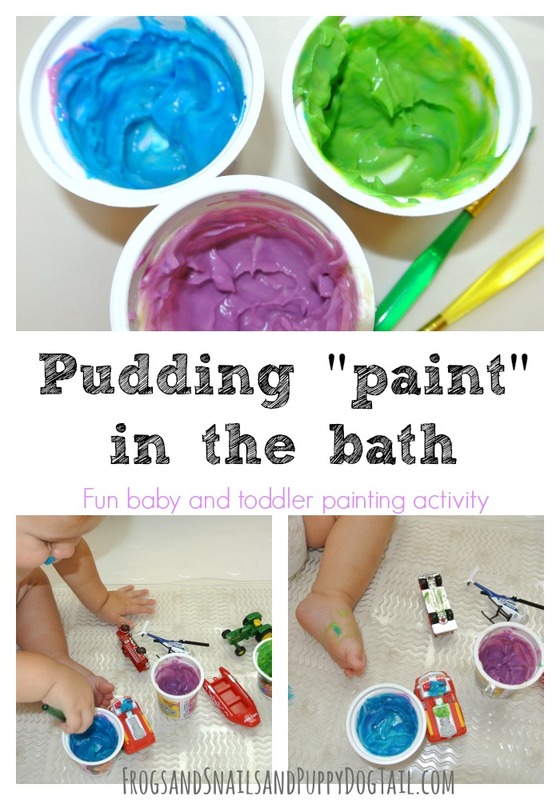 It is so easy to make Pudding Paint for the bath. My oldest painted hotwheels with crayola finger paints a while back and I promised little brother he would get to paint cars too. I just had to make him a toddler friendly paint because I knew he would taste it,lol. Now we are set, let’s pudding paint cars in the tub. 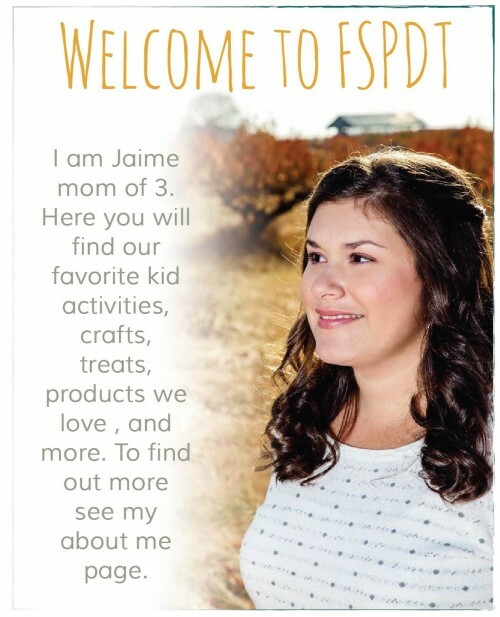 A taste safe way for my toddler to do this activity. 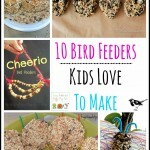 This was a big hit with both my children. I made vanilla pudding first. Then added it to these little yogurt cups I had saved. I mixed different colors of food coloring in each cup. 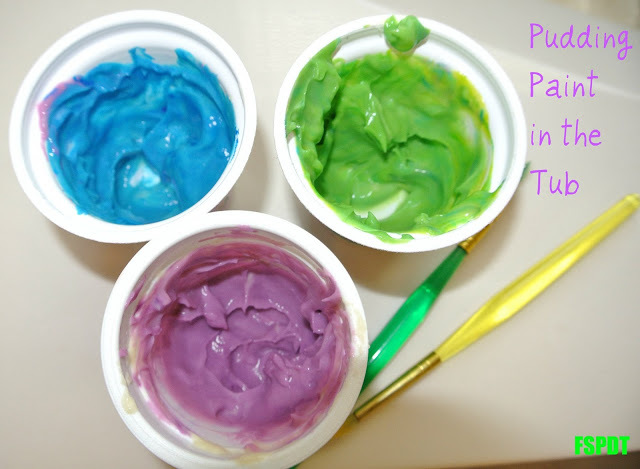 That is how easy it is to make Pudding Paint. 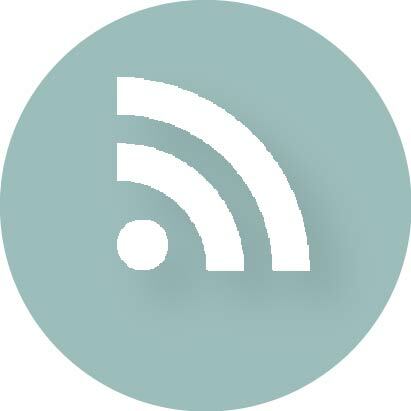 A taste safe play recipe. This is messy but so much fun. Both my boys got to play but I let little brother get in first and play a bit before big brother got in. Pudding paint or playing with pudding in the tub is always a hit at my house. My oldest has been doing it for years and now little brother gets to join in on the fun too. 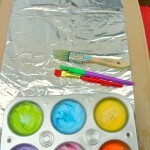 This is a great way to let the kids explore their senses while playing. 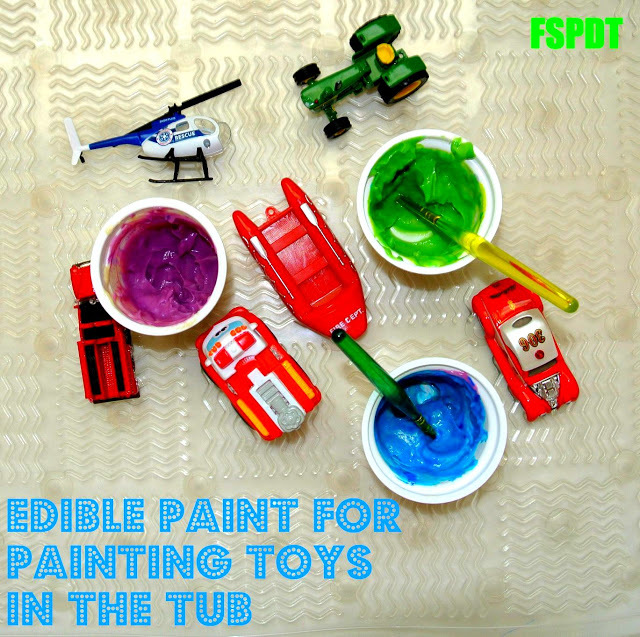 Painting the tub and the toys is a great messy and sensory art project too. Even the youngest tots can get in on this activity.I love that in the end you just wash it away. You can let the kids paint on paper if you want to keep it. We have done that before but sometimes it is just nice to let them have an open ended project and not worry about having a final masterpiece to keep. What a wonderful way to paint! 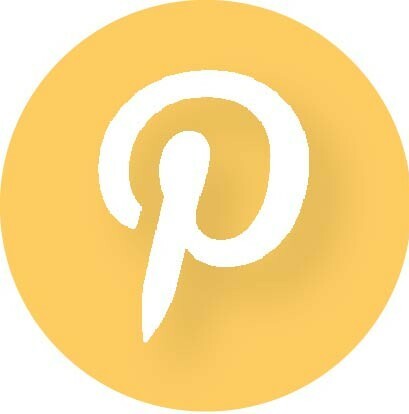 Hi – I just came across your blog via Pinterest. 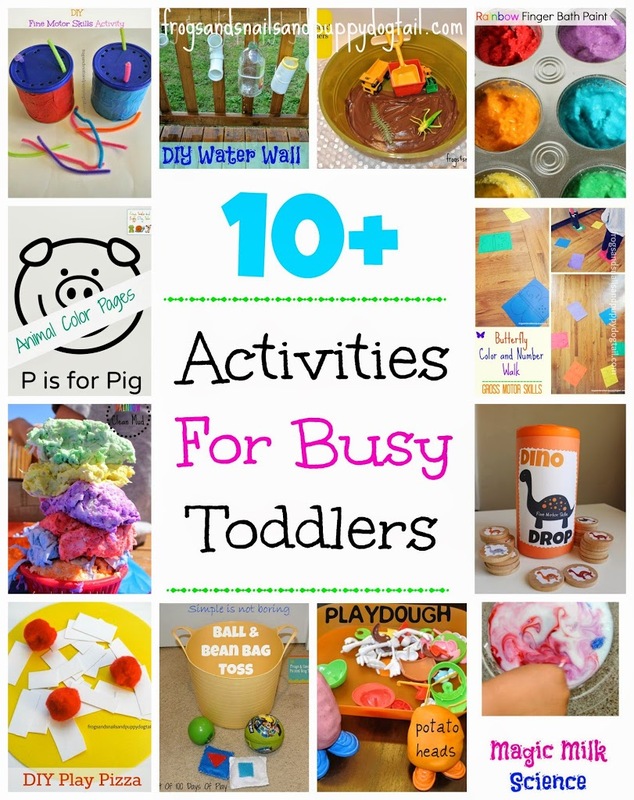 You have great activities for kids! I also noticed the sprinkler/faucet thing in the tub photo above. 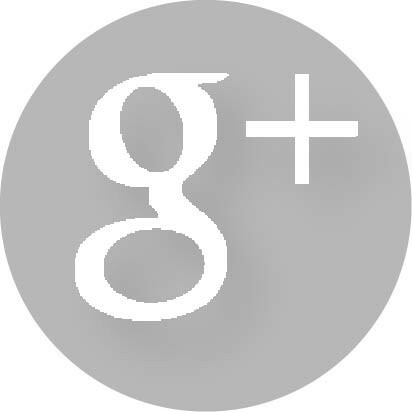 I’ve been looking for something like that – do you know what brand it is?